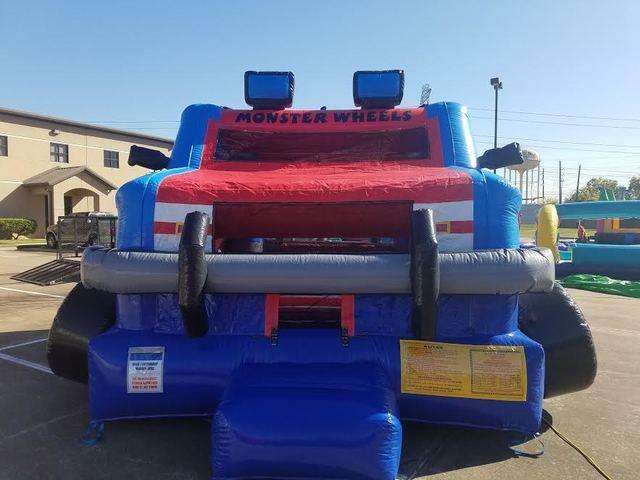 Everyone will love this full size monster truck moonwalk! It's really a sight to see. This unit includes a large jumping area and mesh panels on all sides for easy viewing inside. The top is covered to protect jumpers from sun.